All eyes were on Disney Interactive this morning at the D23 Expo in Anaheim, California as they took the stage to highlight some announcements regarding upcoming Star Wars games, Disney Infinity 3.0, and arguably the hottest topic, Kingdom Hearts III. 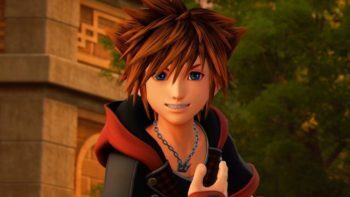 The biggest reveal for Kingdom Hearts III was that 2014’s Academy Award winning animated film – Big Hero 6 – would be featured as a world for Sora and company to explore. The video above shows the film’s producer Roy Conli explaining why Big Hero 6 is such a perfect fit for Kingdom Hearts III, drawing parallels between the themes of friendship, and light versus darkness in both pieces of media. Of particular note is that this marks the first time the events told in a Kingdom Hearts game will continue the story from the film’s end instead of retelling it with Sora and the Heartless as added foils. In fact it was also revealed that the Baymax left in the portal during the movie’s climax will be utilized and taken over by the Heartless, potentially leading up to the fight shown in the concept art below. A smaller but still significant point they touched on was that every single keyblade in Kingdom Hearts III will have its own unique transformation. In this year’s E3 trailer we were shown two different keyblades that transformed into a pair of guns and a blast cannon respectively, so the sky is the limit for other potential transformations. Finally, during the Disney Infinity presentation it was announced that the ultimate unlock for collecting every single 3.0 figure will be the Kingdom Key. Could this be foreshadowing the inclusion of more Kingdom Hearts content in Disney Infinity 4.0? Also, fans who attended the event were presented with a D23-exclusive Disney Infinity power disc that unlocks Mickey’s Kingdom Hearts King Mickey outfit. 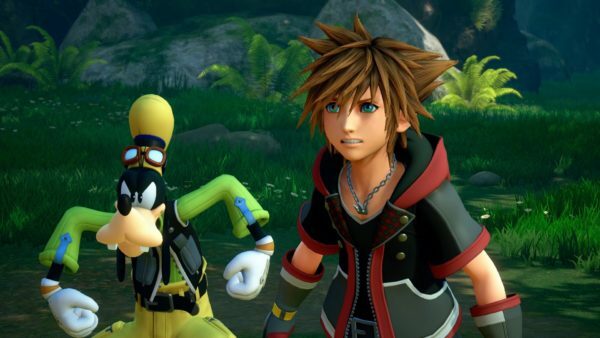 Kingdom Hearts III is slated to release for the PlayStation 4 and Xbox One at a confirmed-internally-but-not-yet-publicly-revealed-yet date in the future. More information on the game will be revealed during Japan’s D23 Expo in November.